The Saturday Shaft: Syndicate’s Theme Song Sounds A Little…. Yeah, I’m writing on the weekend. The fact that I’m not drenched in Zerg blood by this point on a Saturday afternoon should give you some indication of the very serious nature of today’s post. I mean, as posts go, they don’t get much more poignant than this one. So here it is. Several months ago EA announced they were making a first person shooter remake of Bullfrog’s cyberpunk classic Syndicate. The gaming community responded with much snark and incredulity. Who wants a FPS remake of an isometric strategy game? Anyway, that’s not the point of this post. No, this post is on the Manhattan Project’s order of magnitude of importance. 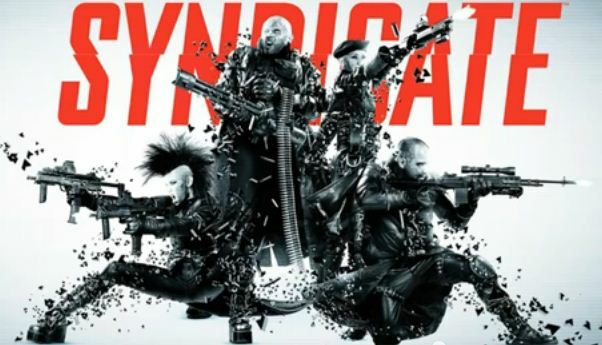 EA’s new trailer for Syndicate features a theme song composed by Flux Pavilion. As video game music goes, it’s not a bad tune. The song works with the classic Syndicate riff, adding in a bit of a post-apocalyptic synth vibe. But then I noticed something else. Throughout the song, and especially at 2:30 in, it sounds a little similar to another song. I’m not suggesting that the two are carbon copies of each other. I’m asserting that the songs share some tonal qualities that will make me think about Fashion Television each time I hear the new Syndicate theme. Yeah, that’s right. I think bits of Syndicate sound like Animotion’s 1984 single Obsession. Here, have a listen. Remember how I compared the importance of this post to the Manhattan Project? I might have over sold things a bit. Still, am I crazy or is anybody else hearing a few common qualities between the two songs? Also, how weird is that Obsession music video?